Health Tips| Elephantiasis | Lymphatic Filariasis | Crabs Std | Crabs Disease - GoodHealthTipsOnline: Can Irregular Sleeping pattern cause Pimples? 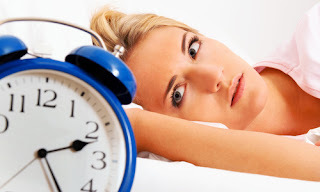 Can Irregular Sleeping pattern cause Pimples? Ever wondered when you have decided to stay up late at night and when you wake up there's that tiny annoying elevation on your face? For some importance reasons, some people choose to sleep late at night without taking note of what are the consequences of it. What makes it worse is that some people make it a habit but never realizing that the main cause of their pimple outbreak is their pattern of sleeping. Sleeping plays a major role in our skin. It helps the cells of the skin of our face to rejuvenate. When we are sleeping, the antioxidants in our body do its job by eliminating the toxins that are major risks to the health of our skin. The damaged cells in our skin are being repaired when we are sleeping; a sleep which is regular and of good quality. My Health Tips is Sleeping enhances our immune system to fight of the bacteria that penetrated in our skin during our long day exposure to our changing environment. But when we lack sleep and continue to have an irregular pattern of sleeping, our immune system goes down and our body's own antioxidants cannot excrete the toxins and bacteria’s that penetrated which causes extreme pimple outbreak.